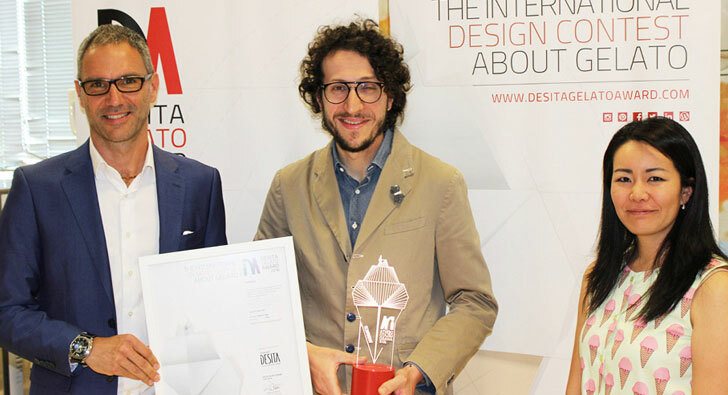 The first edition of Desita Design Award, the first international contest in the ice cream industry, launched during Sigep, has concluded. Young designers from around the world were involved in the contest, which had among its sponsors Grottini Retail Environments, in order to improve the #gelatoexperience for both operators and customers. 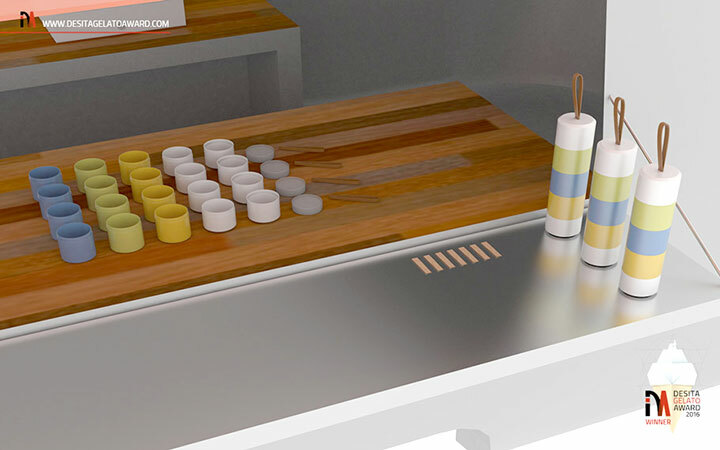 The winning project is "Gelato Pack Set", a special take-away container, by Alberto Lago, a young engineer from Bassano del Grappa who has staked everything on the feasibility and sustainability of the idea. The Filipino designer, Jaecelle Maria Gecolea took both second and third place captivating the jury with her two projects: "Conetainer" and "Oh! My Gooey". "Conetainer" is an ice cream cone holder which collects melting ice cream allowing everyone to enjoy an ice cream without worrying about it melting. "Oh! My Gooey" is the concept of a colorful, interactive environment in which customers can live a real experience. Irene Caterina Luca's idea has instead earned a special mention. Combining her two great passions, respect for the environment and technology, Irena presented the "Maker Waffle" project, a 3D printer that produces wafers and cones of various shapes in real time. A special mention was also earned by Marta Lo Bianco with "Icard", which is both a business card and ice cream spoon or decoration. 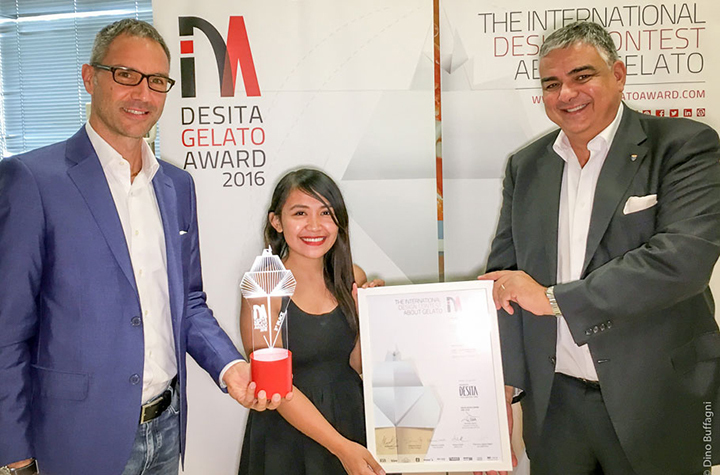 This first edition of the Desita Gelato Award involved eight prestigious sponsors: Carpigiani, Sigep, Ifi, Fabbri, Grottini, Tostini, Retail & Food magazine, Iref Italia, and Menafa. The jury was made up of designers, architects, and journalists, thus paying great attention to the diversification of points of views, know-how, judgments criteria and creating a network of highly qualified experts. We extend our congratulations to all the designers who took part in the contest, and hope they continue with the same determination and creativity.